Swipe up and down to browse through notes, tap to view a particular note, or just tap the plus sign and speak to create a new note. You can also add reminders to notes directly from your Android Wear watch. With this update, Keep will support recurring reminders too! We also recently launched the ability to add labels to notes in the Keep Android app and on the web to help you stay organized. Use labels like “Inspiration” and “To-dos” to never miss an idea or task. So whether it’s taking notes on Android Wear, setting reminders, or adding labels to notes, use Keep to make sure you never lose a thought. Google Keep is available for free on Google Play for your Android devices (Android 4.0, Ice Cream Sandwich and above), the web, and the Chrome Web Store. offers a range of watches and apps that are fashionable as well as functional. Over the past few months we’ve added lots of ways to express your style—from custom watch faces to a rainbow of bands. Today we’re making Android Wear more helpful as well—getting you what you need, right on your wrist. When you buy a watch you want it to, well, tell the time. So most Android Wear watches include an always-on screen—no tapping, twisting or shaking required to see what time it is. Now we’re expanding this option to apps, so they can stay visible as long as you need them, instead of disappearing when you drop your arm. In either case the screen is only full color when you're actively looking at it—so you get the info you need, and you save on battery life. With GPS and offline music support, you can already leave your phone at home, then go jogging and jamming like normal. Now Android Wear supports watches with built-in Wi-Fi. As long as your watch is connected to a Wi-Fi network, and your phone has a data connection (wherever it is), you’ll be able to get notifications, send messages, and use all your favorite apps. And if you really do forget your phone, you can always ask your watch where it is. Got your hands full? You no longer need them to check your news and notifications. Instead you can just flick your wrist to scroll through the stream. Your apps and contacts are now just a tap away from the watch face. Just touch the screen, and you’ll be able to start apps and send messages immediately. : Can’t talk? Now you can draw hundreds of different emojis, directly on the watch screen. We’ll recognize your work (no art degree required) and send it via message or text. These updates are coming to all seven Android Wear watches over the next few weeks, starting with the new LG Watch Urbane. In the meantime, there are plenty of useful apps and lots of beautiful watch faces—so find your favorites, and wear what you want. Architect and artist William Morris once said, “Have nothing in your house that you do not know to be useful, or believe to be beautiful.” Turns out that’s also good advice for deciding what to wear. So Android Wear offers a range of watches and apps that are fashionable as well as functional. , we’re working with an ecosystem of manufacturers and developers to help you get more done and dress things up, right on your wrist. Today we’re adding even more ways to express your personal style. 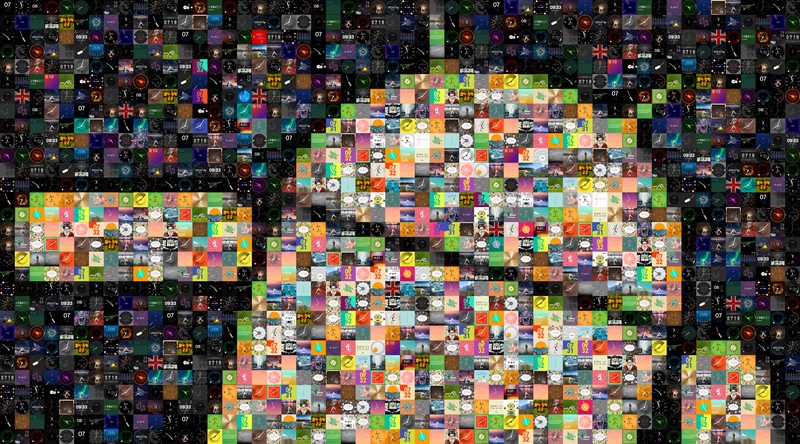 There are now more than one thousand different watch faces available for Android Wear—from ones that match your clothes, to ones with napping cats, to ones that show the stars. To help you find your favorites, we’ve expanded our hand-picked collection on Google Play. So try a watch face on for size, and change things up as often as you want. Most Android Wear watches use industry standard 22mm bands, so you can choose almost any strap for your device. Starting this week, you can also explore a curated set of options from E3 Supply Co., Worn & Wound, and Clockwork Synergy. So choose your favorite watch, then select a face or strap. With Android Wear, you’re always free to wear what you want. Function and fashion. The watch has always been a great mix of both, and with Android Wear, we’re working with an ecosystem of manufacturers and developers to help you get more done and dress things up, right on your wrist. Today we’re adding even more ways to express your personal style.